World of Flying: Walk me through the entire process of how you as a Captain obtain weather information and briefings, and how go/no-go decisions are made. @SWA_Captain: Our process is very automated. Before every flight, we get a detailed weather packet, with 20-30 pages of observations, forecasts, enroute weather, turbulence plots, radar summaries, NOTAM information, etc. We are required to carry (per FAA) fuel to the destination, plus to the most distant alternate, plus 45 minutes of reserve, and we also carry 25-45 minutes of “contingency fuel”. A typical one hour flight never pushes off the gate with less than 10,000 lbs of fuel, and we typically burn about 5,000 lbs per hour at cruise altitude. While there are some complicated exceptions, the general rule is if the weather forecast at the destination is for less than 2,000’ ceilings, or less than 3 miles visibility, for our ETA +/- one hour, then we are required to have an alternate. So when I get my flight release from the operations agent, our dispatchers have already calculated required fuel loads, alternate airports, etc. We review the flight release and the weather packet, and then have the freedom to amend it by talking to our dispatchers, but that is fairly uncommon. The great thing is that our dispatchers are VERY conservative, so we never worry about our fuel loads; we always have plenty of fuel, and then some. World of Flying: Aside from the official company weather briefing, what do you do personally to get a better "big picture" of the weather? @SWA_Captain: I do look at the weather channel in the mornings before I fly, but it’s more to see if I will be encountering any problem areas that might create delays. We have lots of color radar pictures available at the gate areas before each flight, and some guys now carry their iPods to look at some Doppler radar images at cities we are headed to (before flight) if there is weather at the destination. Once in flight, we only have our Doppler radar displays to navigate around stormy weather, but we are also in constant contact with our dispatchers while in flight, to make changes as weather develops. It is a very detailed and well-oiled machine. We can get routes for “best wind”, for “mountain wave” avoidance, and other things, so when I get the paperwork before the flight, the dispatcher has planned the route to avoid any problem areas of weather/turbulence, also in coordination with Air Traffic Control in and out of the major cities. There are RARELY any surprises. World of Flying: What is the most frustrating part of your job? @SWA_Captain: The most frustrating thing is that litigation in our society has forced us to have checklists and procedures for everything, and common sense is no longer a part of the equation. I don’t think I should have to have a step in the checklist before pushback from the gate that says “cockpit door closed”. Duh.....that should be obvious. But if an accident or incident occurs, the fix is to mandate a change to EVERYONE’S procedures, even if it was a single pilot’s error, or something out of the pilot’s control. For instance, we will never be able to prevent birds from flying around airports, yet we are beginning drastic measures to prevent another Hudson River event, and it’s going to cost airlines and the public millions of dollars. I don’t think I should have to be wanded at the airport security checkpoint because the TSA agent is looking for stuff that I might use to gain access to the cockpit. Duh! In my uniform, I already have access to the cockpit. If my ID and biometric information (which is slowly coming to be) checks out, let me bypass security. World of Flying: What is the most rewarding part of your job? 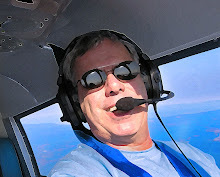 @SWA_Captain: I have been flying for 26 years, yet every time I climb into the cockpit seat, I love it. The freedom of flying, and seeing all corners of our great country never gets old. World of Flying: Would you recommend your line of work to young people today? @SWA_Captain: It is an incredible job. The best kept secret is that I work 12 days a month and make about $200,000 per year. I love it. But make no mistake. I trained extremely hard to get here, and the pay is for the incredible responsibility I have for the 137 passengers I am carrying on every flight. Like Doctors, we have our passengers lives in our hands; I take that VERY seriously. We make the job look easy, but when the proverbial sh*t hits the fan, and we have a rare emergency, our intense and ongoing training allows us to operate coolly under intense pressure. With that being said, in today’s economic environment, I think it is going to be difficult for pilots to progress in their careers to get where I am. Hiring is very slow, and upgrading is even slower. Like I have taught my daughters, (who are not pilots), pick a career path based on what you think you would love to be doing. Do NOT pick a career based on how much “money” you will make. You can make a lot of money and be miserable, and have a low paying job that you love to do, and you are on top of the world. So if a young person has been bit by the flying bug, by all means, I would recommend it. But the days of airline pilots working 8 days a month and making $300,000 a year are long gone, so I wouldn’t do it for the money. 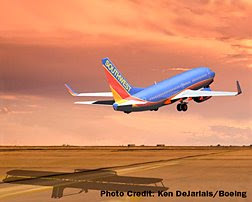 World of Flying: If you were in charge of FAA tomorrow, what one thing would you immediately change? @SWA_Captain: I would spend the money to upgrade our Air Traffic Control system nationwide, and push for free flight, where aircraft can file direct to all points, and have the automation that is available today keep things de-conflicted by altitude and route of flight. The days of Jet routes and roadmaps in the sky are outdated with the GPS navigation systems of today. Updated Air Traffic Control equipment would also allow more aircraft to be in a given amount of airspace and significantly cut down on the delays we experience today. As but one example, it is silly for all aircraft eastbound out of Chicago O’Hare and Midway to be on 30-40 mile in trail departures and one hour delays because of a single group of thunderstorms that are 80 miles east of Chicago. Yet, I have seen this repeatedly. More modern automation would allow for instant re-routing around weather systems without the congestion that saturates the controllers and equipment in use today. Of course, this is all coming from my view sitting in the cockpit; my opinion of course. My hat goes off to the thousands of controllers who do a fantastic job everyday. 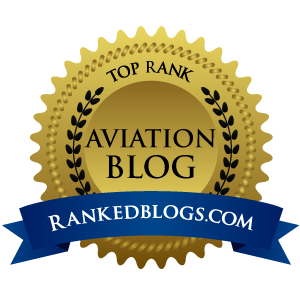 Disclaimer: The opinions expressed in this interview are those of Captain Kenneth Wells alone, and not necessarily those of Southwest Airlines or the Southwest Airlines Pilots Association. Graduation from ERAU, Now What? Is the 'Vision' Fading or Getting Clearer?